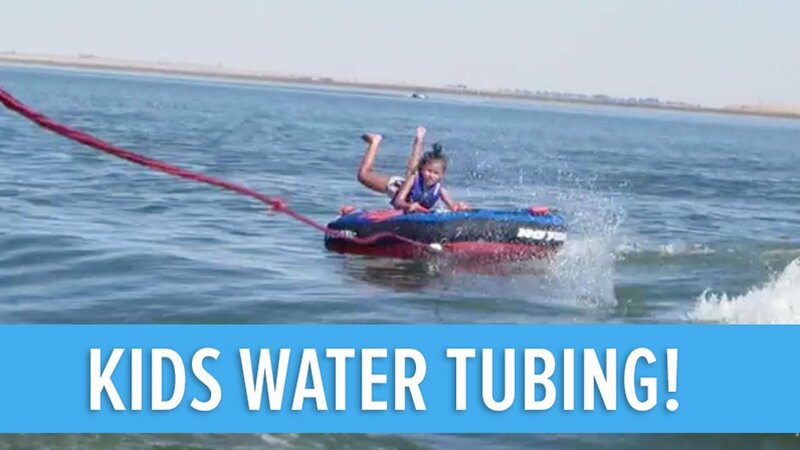 Water Tubing is where a large circular rubber tube is towed behind a boat at semifast speeds. Generally considered a novice or child's water-sport due to the lack of skill involved. The general aim is to hold on as long as possible without falling off due to the boat's sharp turns; more experienced tubers also try to jump the boat's wake and become airborne. Also a very simple and novice trick for beginners would be the barrel roll, once the tube is on the outer edge of a corner going faster than normal, a rider can intentionally roll off the tube to try and roll from upright to upside down and back again all in the same motion. Celebrate your Water Tubing birthday party with your best friends out on the water with Planet Boat Club. We provide everything needed for you and your guest to enjoy a party on our new deck boat.